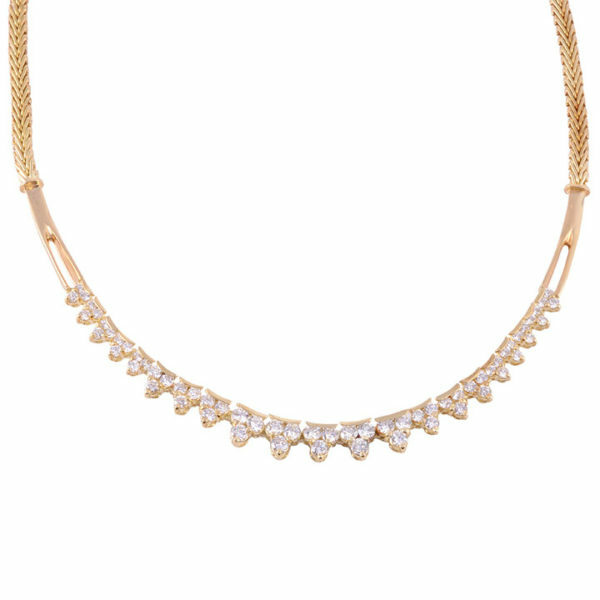 Estate 3.20 CTW VVS diamond 18 karat gold necklace. 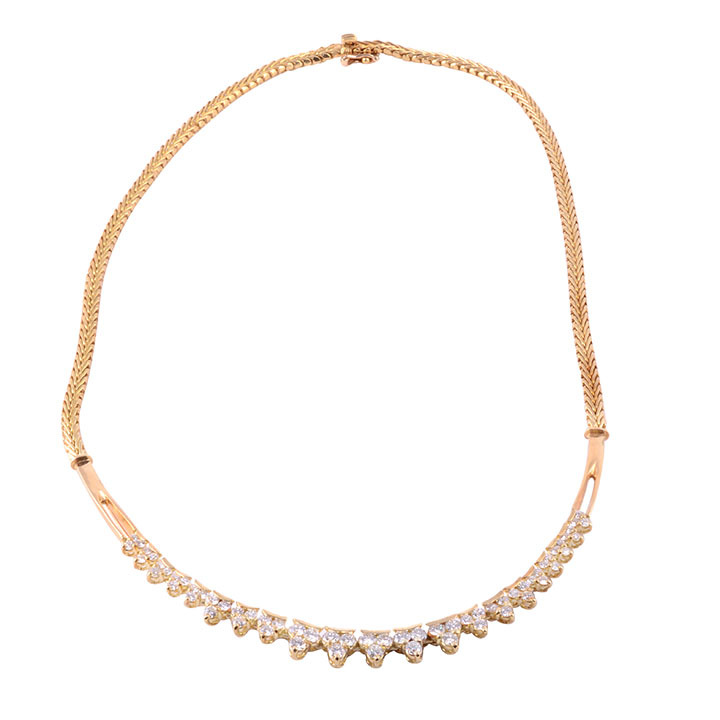 This 18K yellow gold necklace features 63 round brilliant cut diamonds at 3.20 carat total weight having VVS clarity and F-G color. 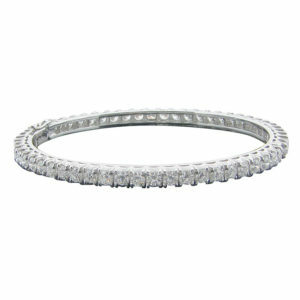 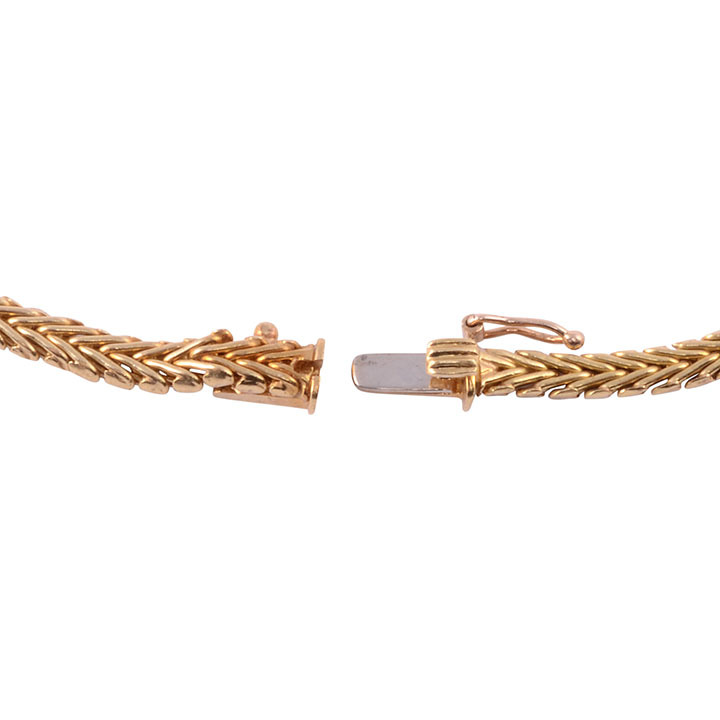 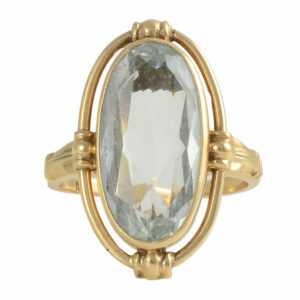 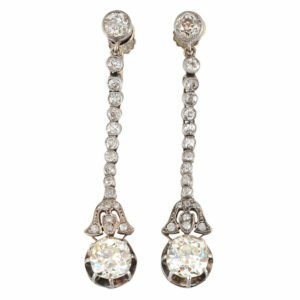 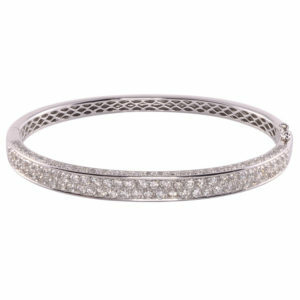 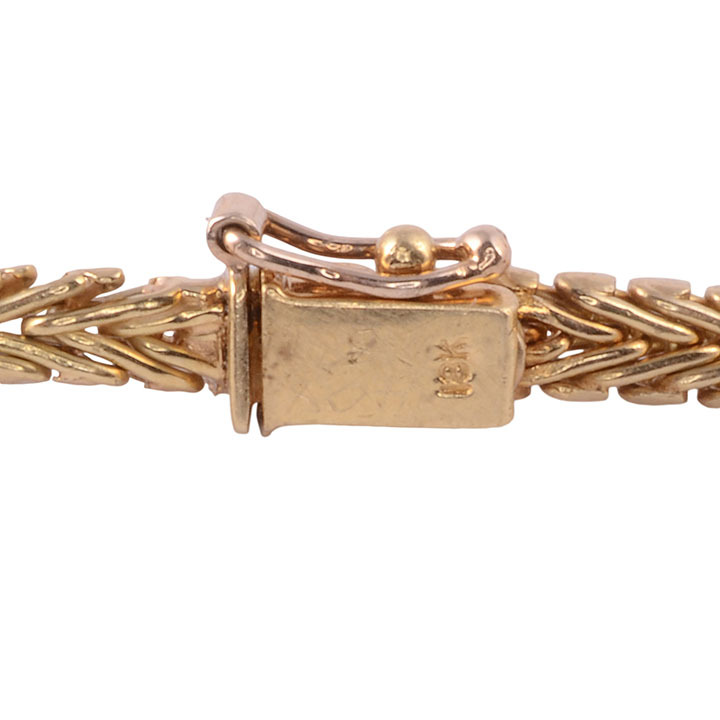 These diamonds are set in a rigid semi circle with a fancy wheat chain. 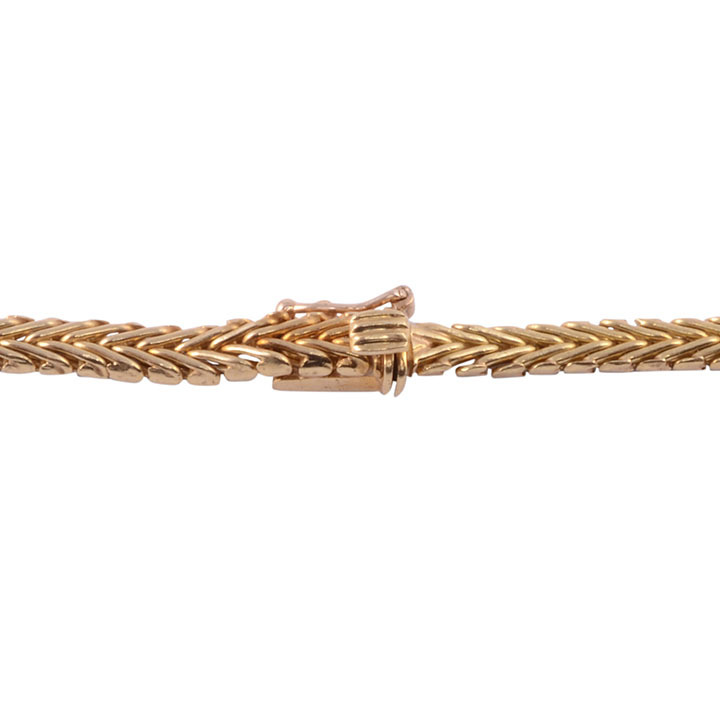 This necklace measures 17″ long and is appraised at $6,895.